Our database has 23591 photos to date. This is the largest collection of photographs used in scams. This is an excellent tool because, nine times out of ten, scammers use the same photographs over and over. They have sent these same photos to other women long before you came alone. 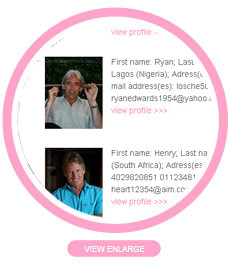 This tool will help you perform searches in our database of known scammers' photographs that have been sent to you. Just upload the photograph from your computer's hard-drive to search our extensive database. Allowed file types - .jpg, .gif, .bmp, .png. 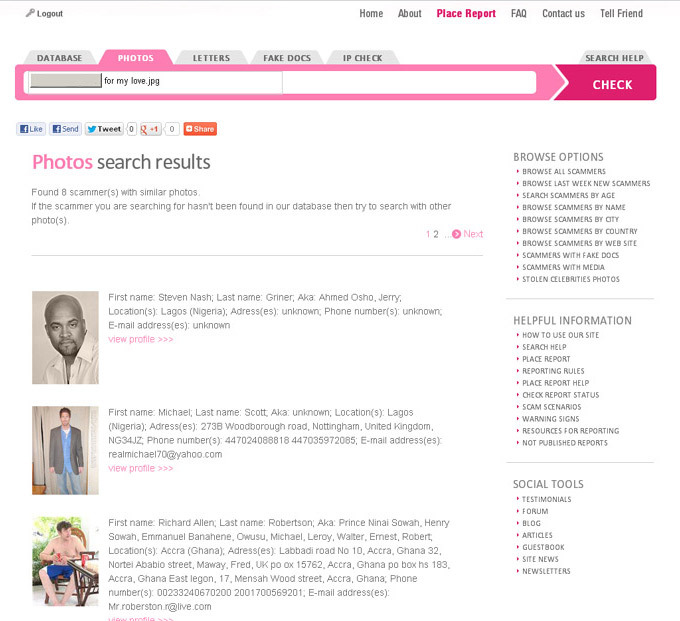 In the search results, you'll find the scammers that have used this or another photo in the past.